The Local Hero service was launched on the Russian market in December 2015. It helps clients transmit their advertising at a radius of 500 meters from their points of sale. The developer of AlterGeo plans to take the service to foreign markets. 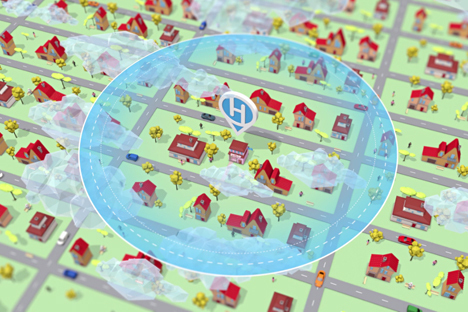 In mid-December AlterGeo, a Russian geo-locational company, launched a new product called Local Hero, a publicly accessible system that instantly distributes hyperlocal internet advertisements. It targets the owners of local, small businesses: cafes, bars, restaurants, car washes, hair stylists and shops. Local Hero can immediately publish the client's banner on millions of websites. The advertisement will be displayed only in the neighborhood that is important to the client, such as a radius of 500 meters around the establishment being advertised. AlterGeo successfully tested its technology during the elections to the Moscow Duma in 2014. Banners with images of candidates appeared on the internet, but only in the clearly defined districts where they were seeking votes. Developers of AlterGeo believe that the potential of geo-targeting in traditional internet advertising is limited by the frame of the city or even region. As a result such advertising is not effective for companies that want to attract customers from a particular microregion. "Around the world the market for hyperlocal advertisements is still developing and there are only a few companies that use it," says Anton Baranchuk, general director of AlterGeo. "As a rule they either distribute the hyperlocal advertisement on mobile devices only or limit the clientele with their own platforms and audiences." For example, Google works through its advertising exchange excusively and does not place sufficiently narrow geo-targeting on desktops in Russia. In October 2014 Facebook announced that it would use hyperlocal advertising, but only on its site, says Baranchuk. At the heart of Local Hero is the placement of banners through RTB (Real-Time Bidding) advertising exchanges, which directly control the advertising space on various sites. This helps place the banners simultaneously on millions of Russian internet portals. The placement system developed by AlterGeo displays the banners on mobile devices, but also on desktops and laptop computers. The system evaluates the location of the sites' visitors and if the user is located within the indicated advertising neighborhood, it transmits the signal, "show this person the respective banner." Local Hero's function is similar to a GPS system. However, it does not determine the location of the devices and their users with satellites, but rather with Wi-Fi networks, WiMAK, GSM, LTE, IP addresses and parameters of the surrounding networks. "Similar solutions can be found in the American Skyhook Wireless, as well as in Google and Apple," says Baranchuk. "However, we have several qualitative advantages. First of all, the possibility to have the technology function directly according to the capacity of the client, universally and independently from a concrete platform and operational system. Secondly, there is the possibility to precisely determine the location using only the IP address. We are the leaders in the Russian geo-positioning market. Annually our system determines the location of more than 100 million original devices and processes more than 400 million requests to be positioned from our clients." AlterGeo has been offering its geodata to "wholesale" partners for several years. These partners include advertising networks and agencies that in turn offer hyperlocal advertising campaigns to their clients, which are usually large companies with small advertising budgets. Local Hero is a retail product that interacts with clients and advertisers directly through the site's interface. Any person can enter the service's site and indicate a point on the map and the radius in that they want the advertisement to be shown. Then the client can upload the banner or create one by using provided templates, and then pay for the necessary number of displays. The minimum package, which includes 5,000 displays, costs about $80. Baranchuk says that the day it was launched the service started placing several advertising campaigns with various volumes. According to Alexei Melnichek, an analyst from the Maxfield Capital Venture Fund, hyperlocal data will help advertising technology advance to the next stage of development. "Development is fostered by the growth of the quantity of data from companies in the mobile segment and the Internet of Things sector,” says Melnichek. “AlterGeo has good potential."